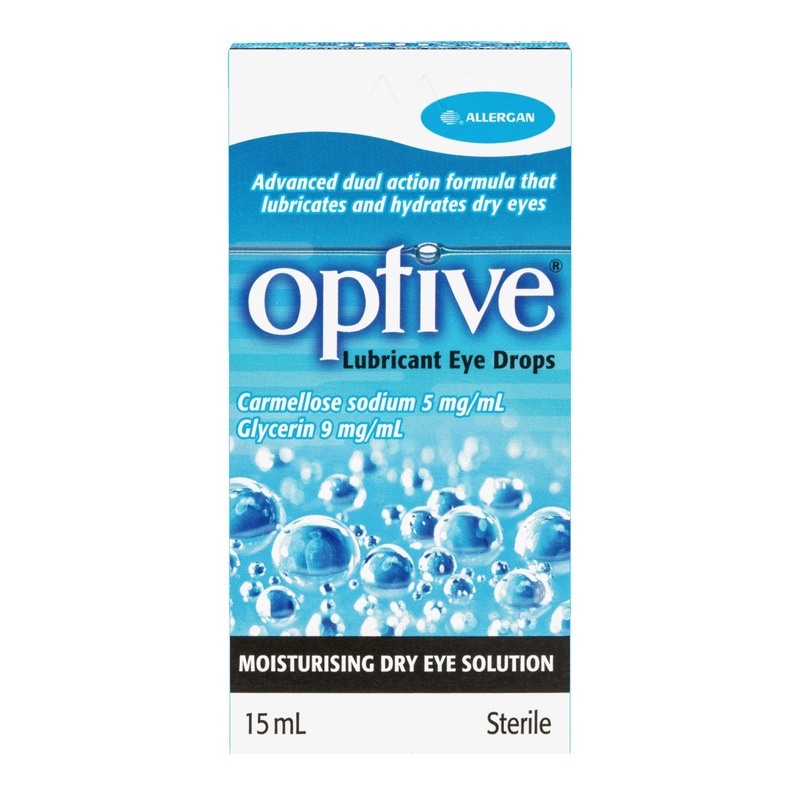 Optive Lubricant Eye Drops - advanced dual action formula that lubricates and hydrates dry eyes. Many things can make your eyes feel dry, gritty, or uncomfortable: air conditioning, heating, computer use, reading, some medication, wind or a reduction of tears your body produces - tears that help lubricate and nourish your eyes. OPTIVE® Lubricant Eye Drops advances dry eye relief by providing a dual-action formula that moisturises the surface of your eye while also hydrating the areas where dry-eye starts, giving your eyes long-lasting moisturising protection. To avoid contamination, do not touch tip of container to any surface. Replace cap after use. If you experience eye pain, vision change, continued redness, eye irritation, or if the condition worsens or persists for more than 72 hours, discontinue use and consult a doctor. Use only if imprinted seal around cap is intact. Discard 3 months after opening. Each mL contains: 5 mg Carmellose Sodium, 9 mg Glycerin, 0.1 mg PURITE® (Preservative). Instil 1 or 2 drops in the affected eye(s) as needed. Optive Lubricant Eye Drop 15ml is rated 5.0 out of 5 by 1. Rated 5 out of 5 by James6688 from Great eyedrop. Feel so relax after a drop in both eyes.